Myth: Mount Damavand in Iran is a mountain in Northern Iran where a demon is enchained. Therefore, it would be improper to call it holy or to revere it! It is a beautiful mountain. It is the tallest mountain in Iran, but, there is nothing holy about it! 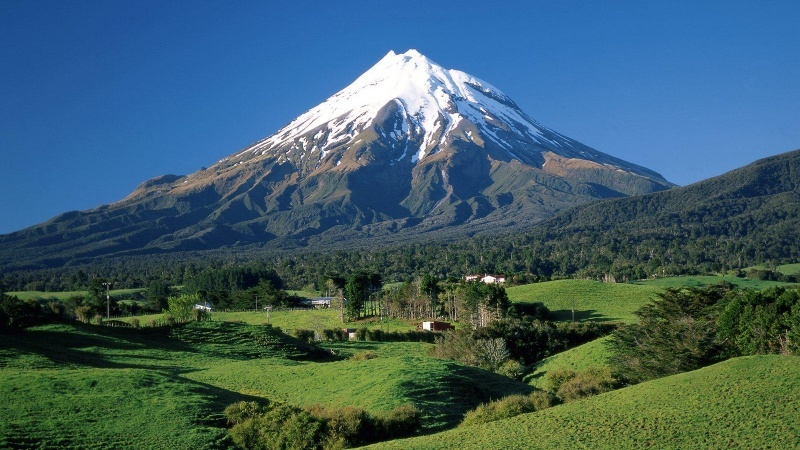 Fact: Mount Damavand is indeed the highest peak in the Albourz mountain range. However, to devout Zoroastrians, Mount Damavand is as sacred as Mount Kailash is to devout Hindus and Mount Fuji is to the Japanese. Since very ancient times, mountains have held a place of special reverence in Zoroastrian lore. There is nothing pagan about this belief, because all devout Zoroastrians have been enjoined with a sacred duty to look after, respect and revere all the good creations of Ahura Mazda. In other words, mountains are powerful spiritual strongholds emanating abundance of positive energy. In mystic circles, mountains signify, among other things, “cosmic or spiritual consciousness”. It is little wonder why Asho Zarathushtra is believed to have lived for ten years on Mount Ushidarena contemplating the Truth of this universe. From the aforesaid, we gather that the celestial home of Sraosha Yazata, the vice-regent of Hormazd, is situated “upon the highest peak of the Mount Albourz” (i.e., the highest point or plane of cosmic/spiritual consciousness). According to legend, King Faridoon of the Peshdadian dynasty, with his spiritual powers, had bound and imprisoned Azhi Dahaka or Zohak (the personification of evil) to this sacred mountain. They say by night (when the forces of darkness and evil gain more strength) Azhi Dahaka’s allegorical chains begin to weaken and melt but, at the crack of dawn, when the rooster crows ushering the forces of light and purity, the chains, once again, binds the demon securely. This is simply a Truth in Nature, brilliantly expressed in allegorical form. Translated liberally, this means be attuned, and like mount Damavand, which is powerful enough (the strength of ten thousand horses), to keep personal weaknesses enchained and under control.